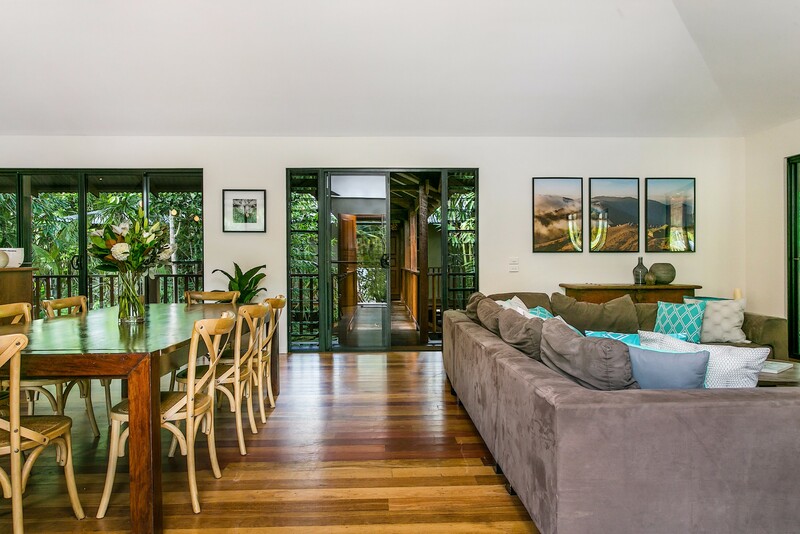 Transport to the tropics with this beautiful pavilion style home, nestled within a tranquil, private bamboo grove, just a few minutes stroll from stunning Belongil beach and world-famous Byron Bay town. 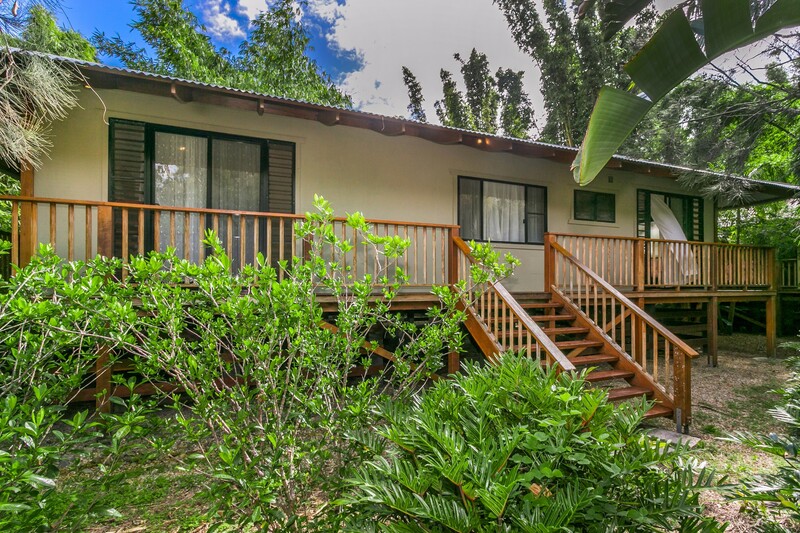 Buckets and Spades sleeps up to 8 guests and offers the very best in beach holiday accommodation. 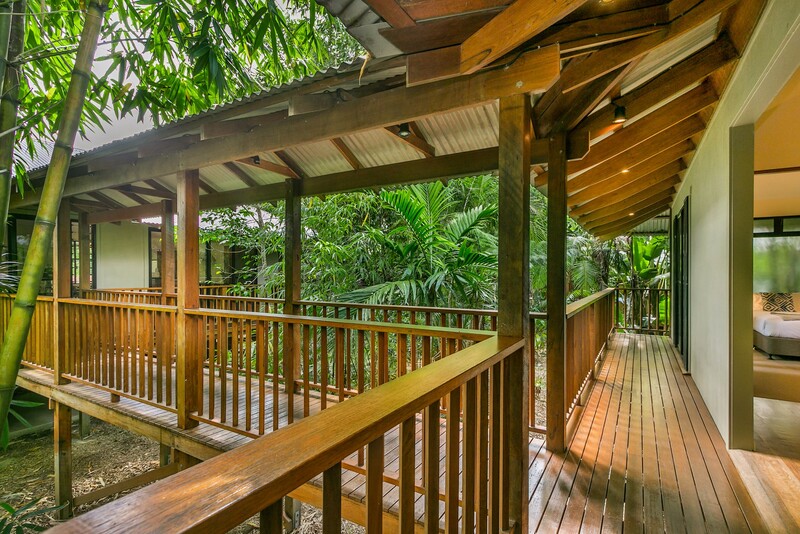 Being a split, pavilion style design, the home comprises separate sleeping and living spaces perfect for groups and families. Exceptionally located parallel to busy Shirley Street in the quieter Shirley Lane, Buckets and Spades overlooks a quiet reserve to the rear and links to the quiet walking path to town. 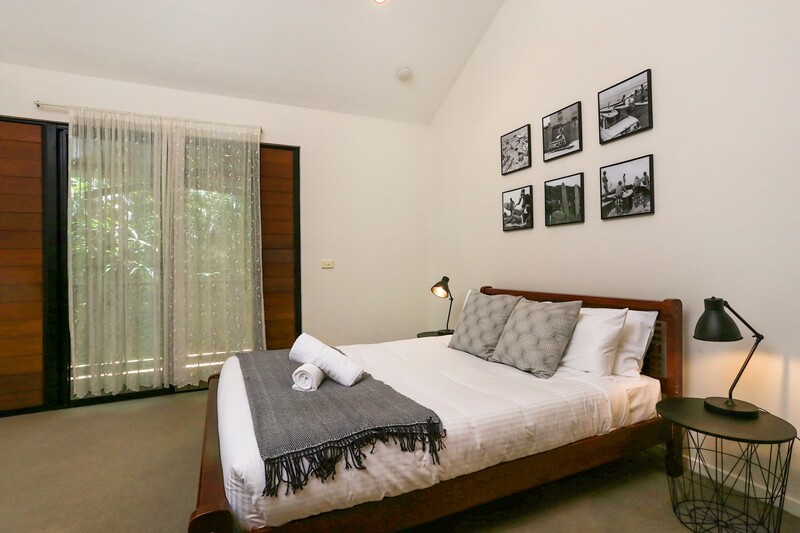 Extended groups can also book Casa Dan which also sleeps 8 and is located next door. 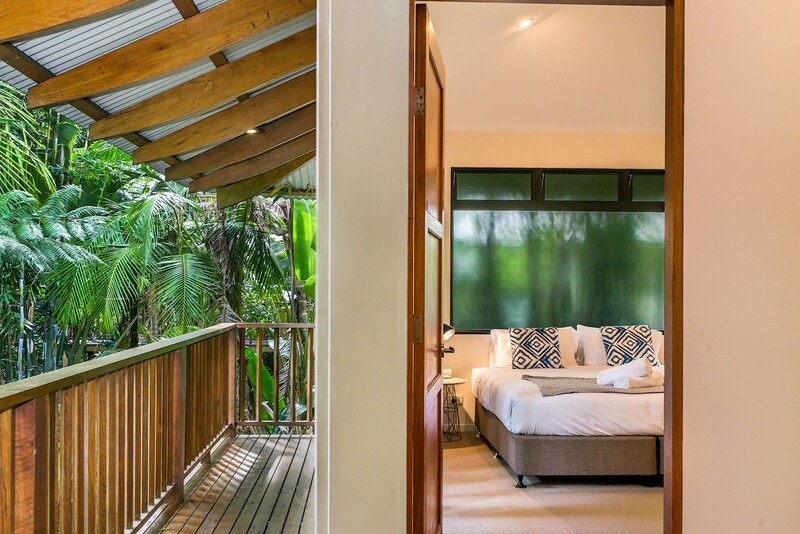 The front pavilion is spacious, light and airy and boasts a large open-plan cooking, eating and living space, which opens out on three sides to a wraparound timber balcony, enjoying rainforest style views. 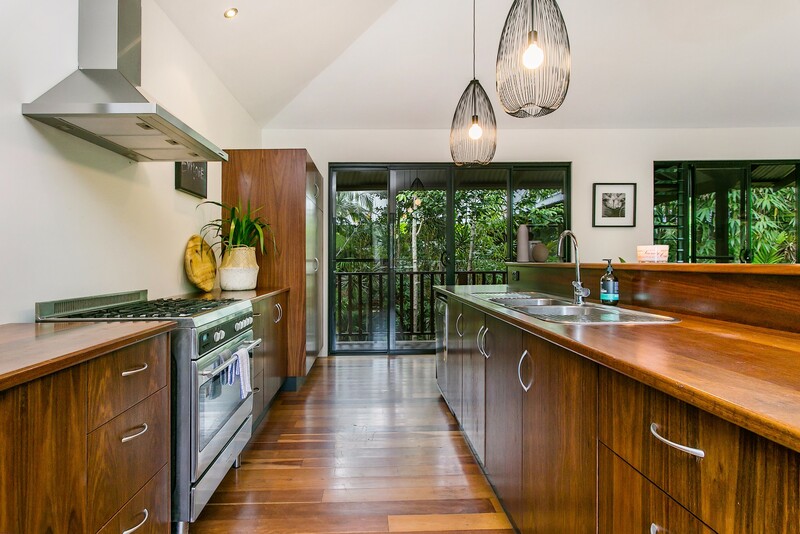 The large, galley style kitchen features beautiful timber cabinetry and quality stainless steel appliances, including an extra-large oven and gas cooktop, perfect for entertaining and feeding a crowd. 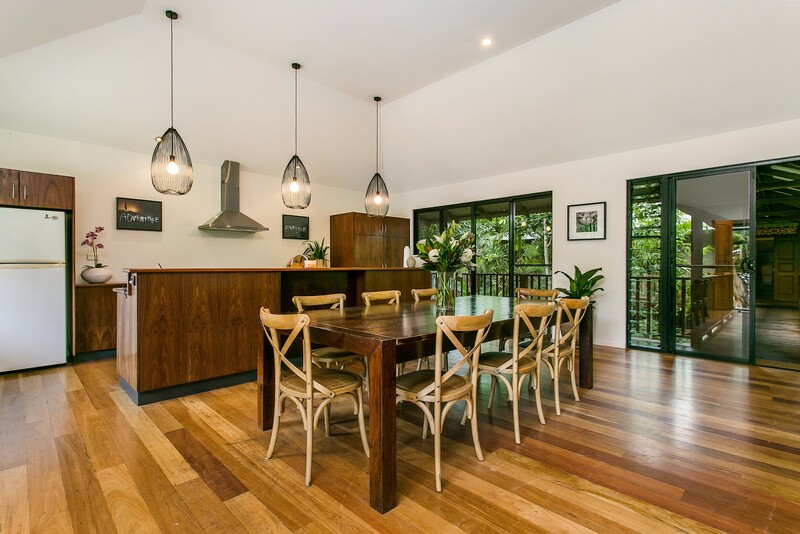 Timber and bamboo finishes are continued throughout the living space, with ceiling fans, floating timber floors and simple yet stylish furniture, tastefully decorated to compliment the warm, sub-tropical theme. 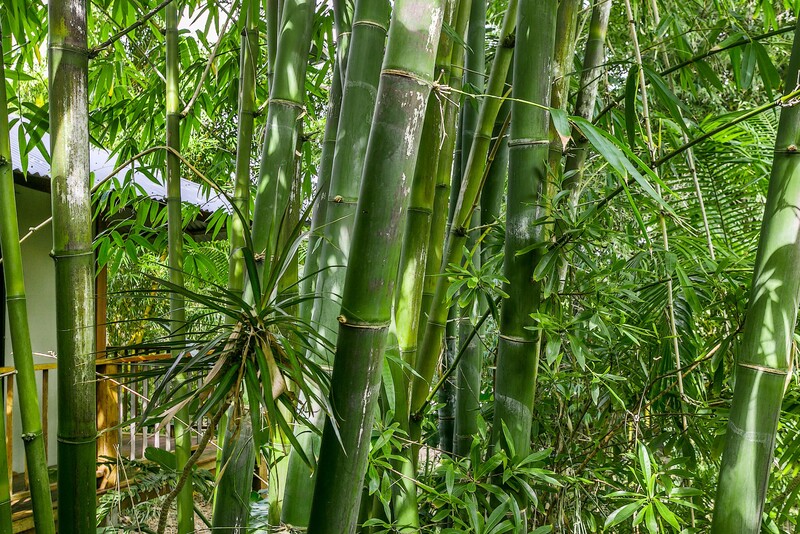 Wander through the covered timber walkway, sheathed by lush, green bamboo gardens, to access the rear pavilion - the sleeping space - which houses four large bedrooms, each with ceiling fans, and three modern bathrooms. 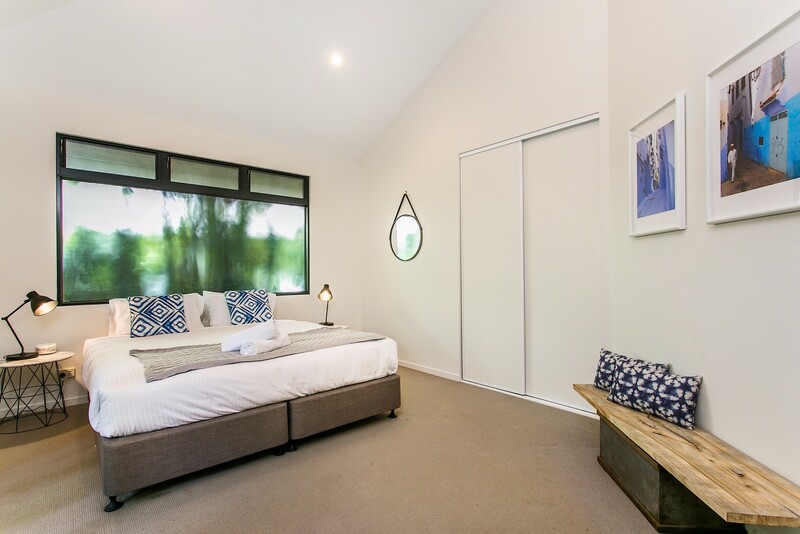 The master suite features a spacious ensuite bathroom, complete with views to the reserve for the ultimate in rest and relaxation. 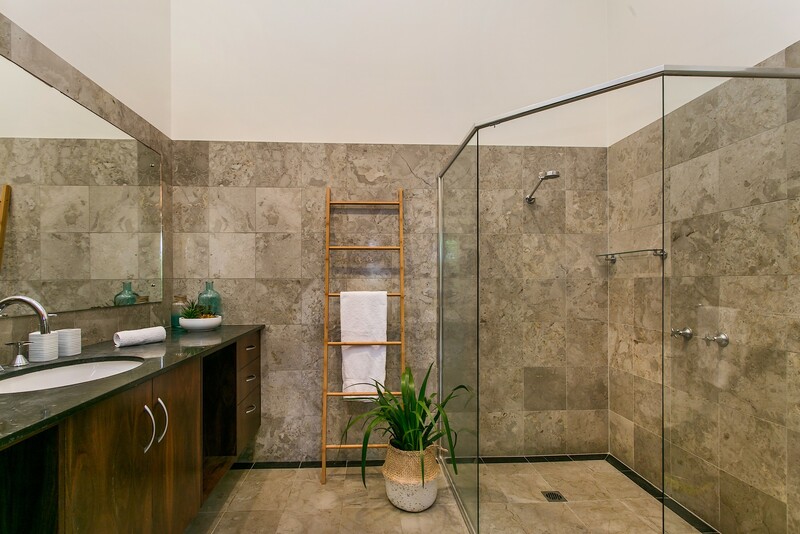 Two additional resort style bathrooms feature double shower, marble-look floor to ceiling tiles and stunning timber cabinetry. Gas water ensures larger groups and families will never run out of hot water. 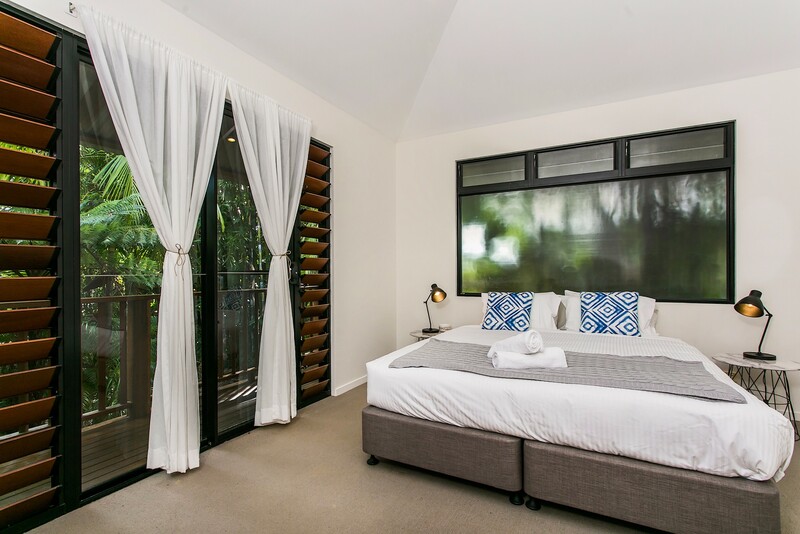 The bedrooms are beautifully decorated, with plush furnishings and timber louvres and all open out to wraparound timber balconies, featuring a sun-soaked day bed, perfect to relax and unwind. 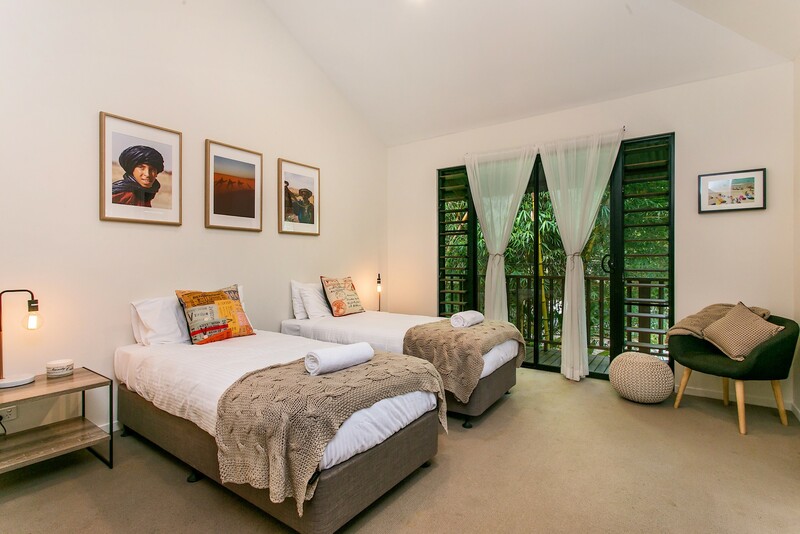 8-sleep capacity and split, pavilion style living makes Buckets and Spades ideal for a group or family, as the living space is completely separate from the sleeping space, meaning younger children can be tucked up in bed while adults entertain in the kitchen or watch movies in the living room. 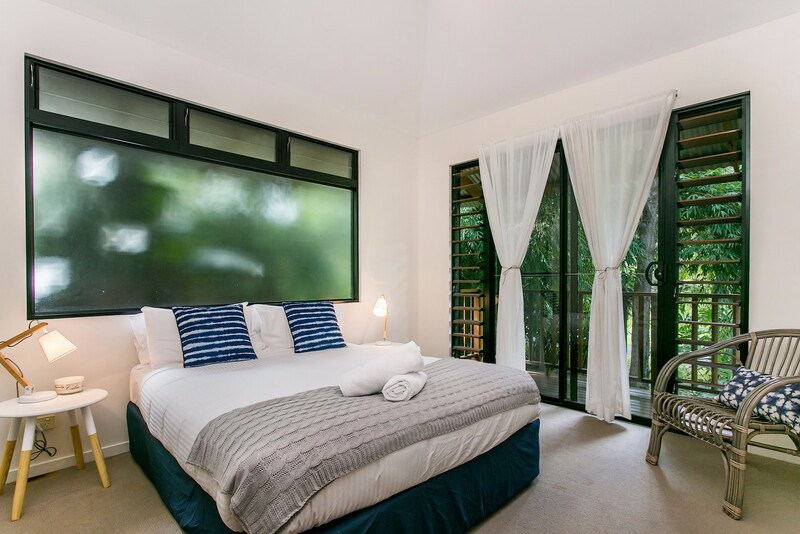 Gas water, three toilets and three large bathrooms, endless balcony space and close proximity to a myriad of different activities make family or group bookings the perfect match for this property. 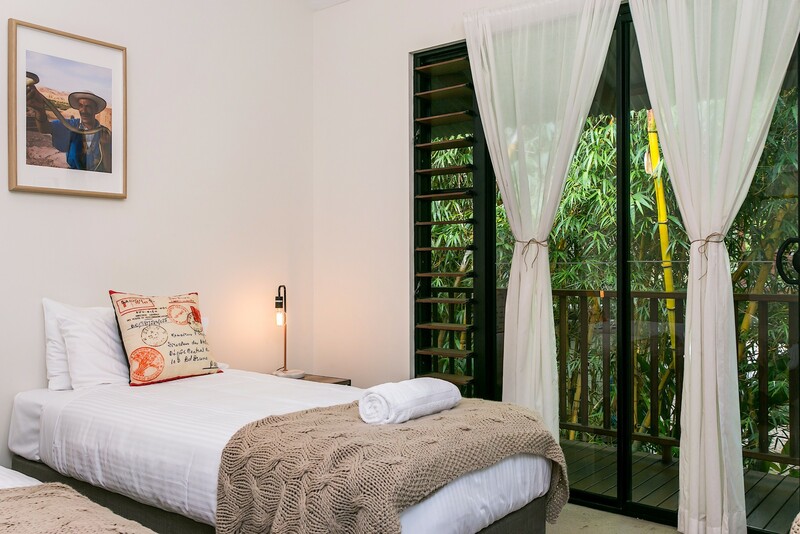 Buckets and Spades is located in Shirley Lane, adjacent to Shirley Street, close to the heart of Byron Bay. 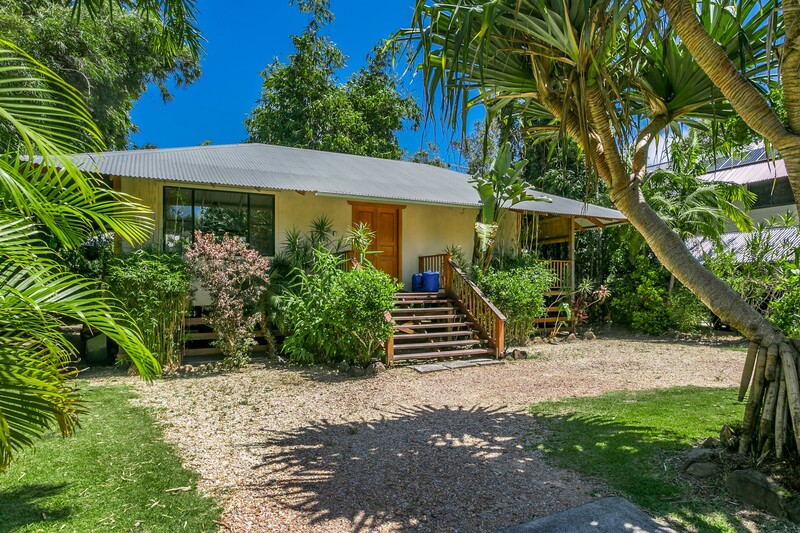 A short 2 minute drive or a leisurely 10 minute stroll via easy-access pathway from Shirley Lane will see guests arrive in town with beautiful Belongil Beach is only a stone’s-throw away. 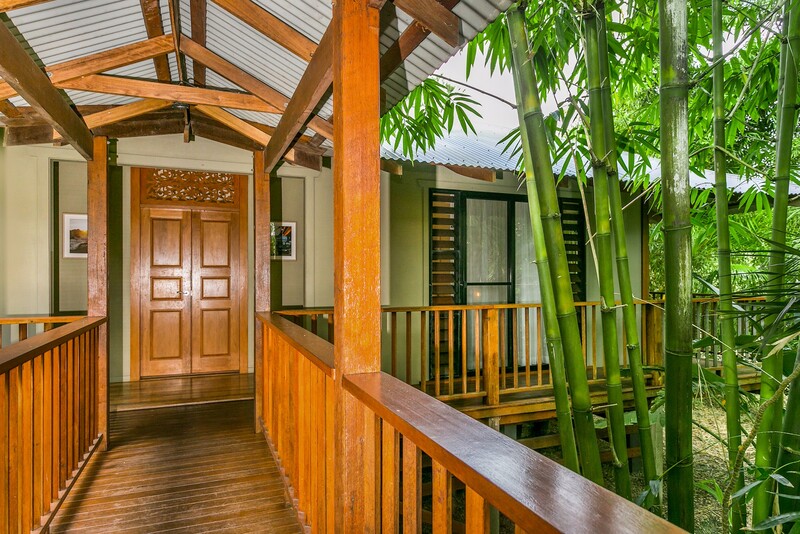 Indulge in this tranquil, sub-tropical, bamboo bordered pavilion home, with all the best of Byron Bay at your doorstep. 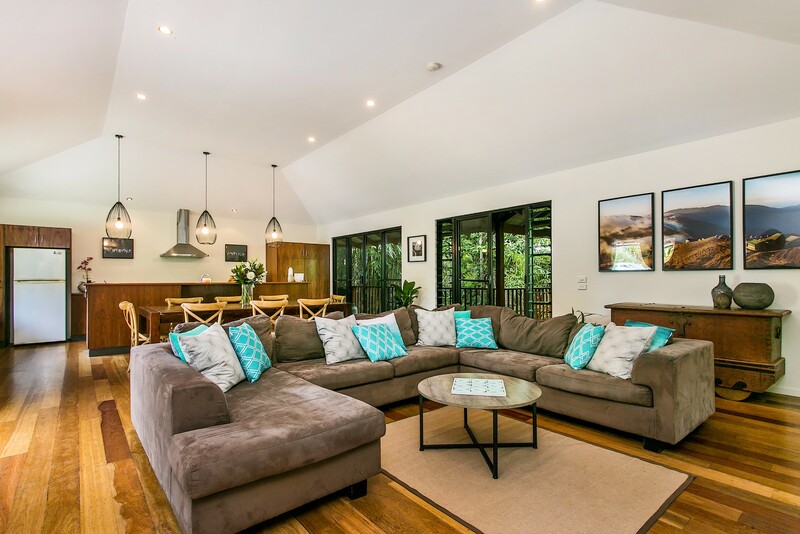 Lovely spacious living space and kitchen, perfect for sharing with friends. 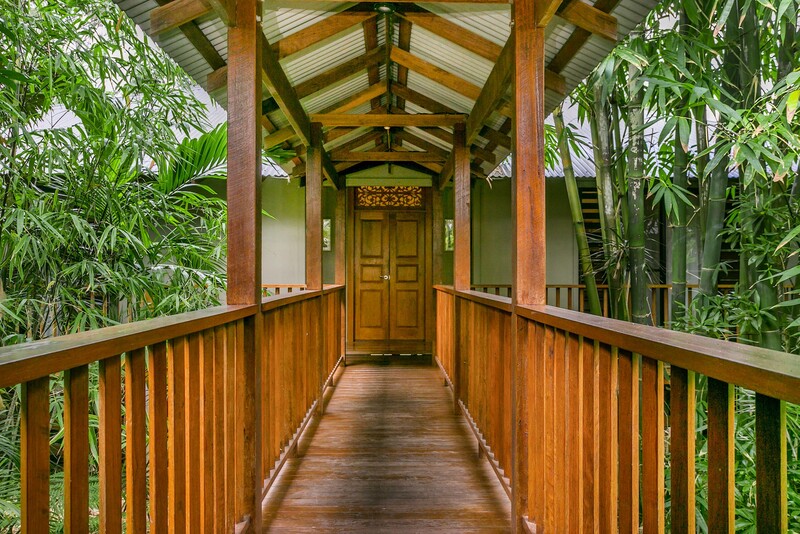 Overall a great stay and it was perfect for a group of friends. A WONDERFUL STAY, WE HAD SUCH A GREAT TIME WITH FRIENDS. 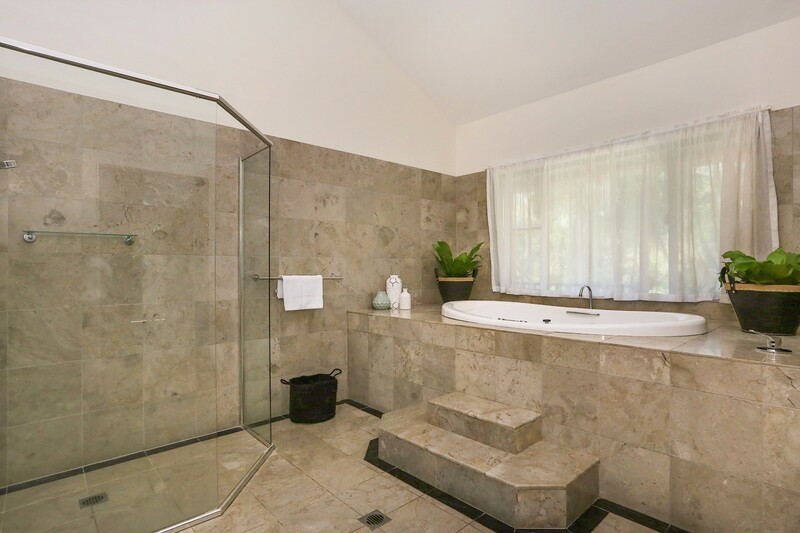 THE PERFECT HOUSE TO HAVE PRIVATE AND SHARED TIME. THANK YOU!